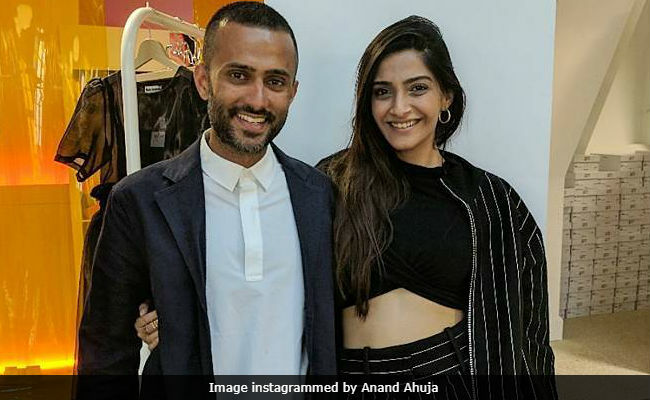 Sonam Kapoor and Anand Ahuja's relationship came into highlight when these two were spotted at Akshay Kumar's party. They were together since 2015 and were seen together many time but it was just a month before their marriage that they finally made their relationship official. Sonam and Anand shared their adorable photos on social media, though they were always quiet about them being together. The things common between the two couple are their love for fashion and love to travel the world. The couple went on a vacation together exploring their favourite places like the UK, USA, Paris and many more. 1) The lovebirds got hitched on 8th of May in Mumbai and here are the stunning outfits they wore in different functions showcasing their amazing fashion sense. Sonam wore a Chikankari Lehenga on her Sangeet and looked like a dream. She has already set high the bar high for the ladies to get married in 2018 . 2) The best thing which anyone could see in the wedding ceremony was the Kapoor siblings. Janhvi Kapoor, Khushi, Arjun Kapoor and Anshula Kapoor were spotted in their cousin’s wedding. This was the first time that all were together in one frame. 3 Sonam’s Sangeet was choreographed by ace choreographer Farah Khan. Every performance in her wedding was adorable, especially that of her dad Anil Kapoor's. He did his hook step of my name is Lakhan and mother Sunita Kapoor also moved her feet on the dance floor with the bride. 4 Sonam looked amazing on her sangeet day the outfit which she wore was the shades of white by Abu Jani and Sndeep Khosla and the pearl diamond jewellery which she wore on her sangeet was of her mom’s made some emotional touch. 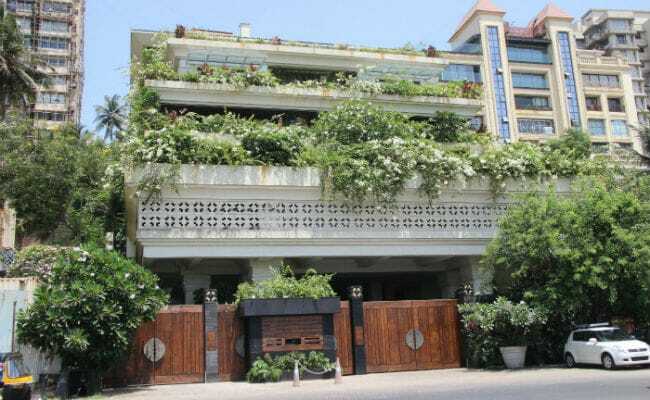 The Kapoor's house was grandly decorated for Sonam's big day. 5 The picture of Anand with the Kapoor girls was so cute and adorable. 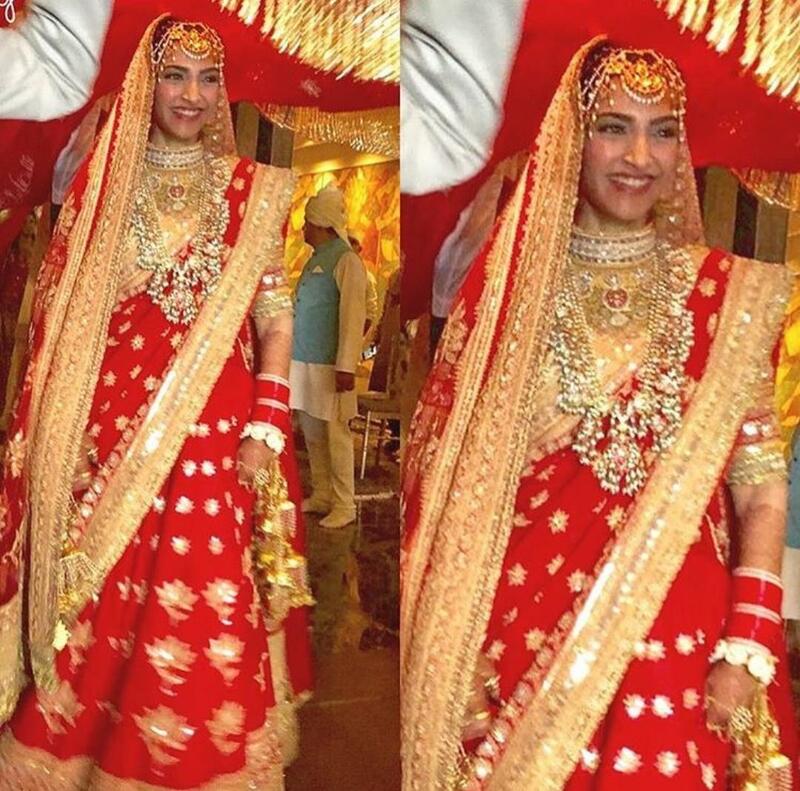 6 Sonam Kapoor wore Anand vakil’s creation for her wedding day. The mirage was simple in the gurudwara. 7 Sonam Kapoor was brought by her brothers, Harshvardhan and Arjun on her wedding venue. She looked amazingly pretty in that red lehenga. 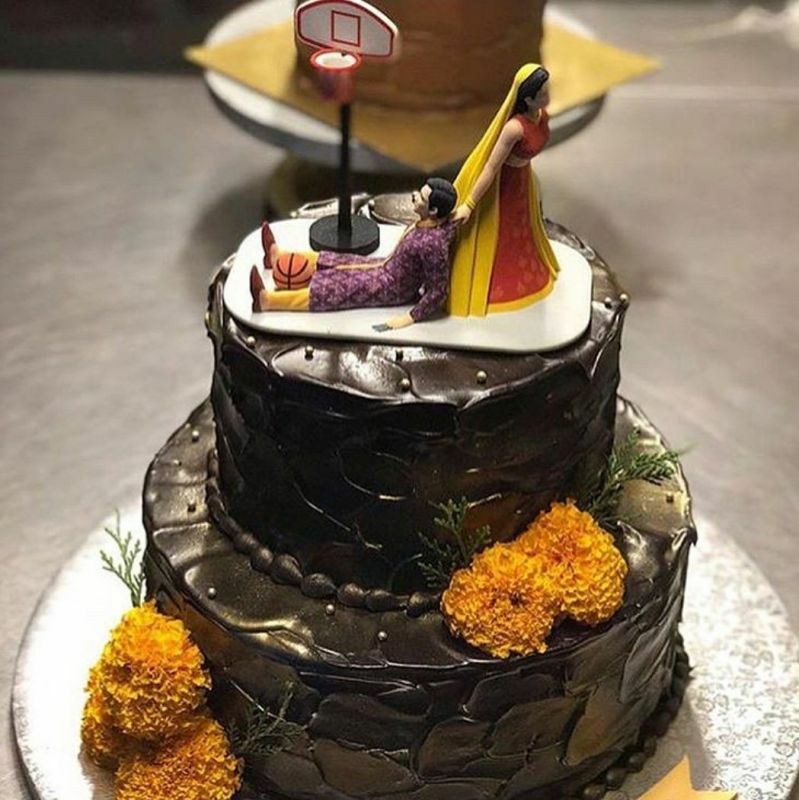 8 The congratulatory cake was awesome in which bride is dragging groom out from basketball. 9 Ahead of all the functions, they moved to Delhi for the reception party in the evening in which Sonam wore and looked beautiful with straight hair, she wore Anamika Khanna dress in shades of grey golden and silver with deep red lipstick. 10 Shahrukh Khan Salman khan anil Kapoor Ranveer Singh Varun Dhawan Arjun Kapoor danced really hard at the reception party. Ranveer Singh almost lifted Anand while dancing which showed the level of enjoyment they had.